Win the Shirley Link series! It’s time for a giveaway! You can enter to win both books in the Shirley Link series, to be delivered before Christmas. Shirley Link & The Safe Case and Shirley Link & The Hot Comic are both getting rave reviews on Amazon, Figment and GoodReads. 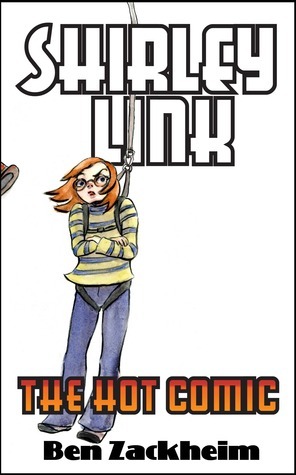 If you or someone in your family likes fast, funny adventures then you’ll probably like Shirley Link! It’s written for the middle-grade kids, but I’m hearing great things from all ages. You’ll earn extra entries by tweeting the contest, or liking my page on Facebook. None of this is required though!